Author of a wide variety of works, Jan Clausen was born and raised in the Pacific Northwest, before moving to Brooklyn in the 1970’s. She’s published her memoir, Apples and Oranges: My Journey Through Sexual Identity, poetry collections that include Veiled Spill: A Sequence, From a Glass House, and If You Like Difficulty. She’s also published a collection of stories, Mother, Sister, Daughter, Lover, and several novels, including Sinking, Stealing, and The Prosperine Papers, published in the U.S. and England. Her poetry has been a part of many anthologies and periodicals, such as AGNE, Bloom, Drunken Boat, Fence, Hanging Loose, Women’s Movement, and The Women’s Review of Books. She has received a New York Foundation for the Arts Poetry Fellowship and an NEA Fiction Fellowship. 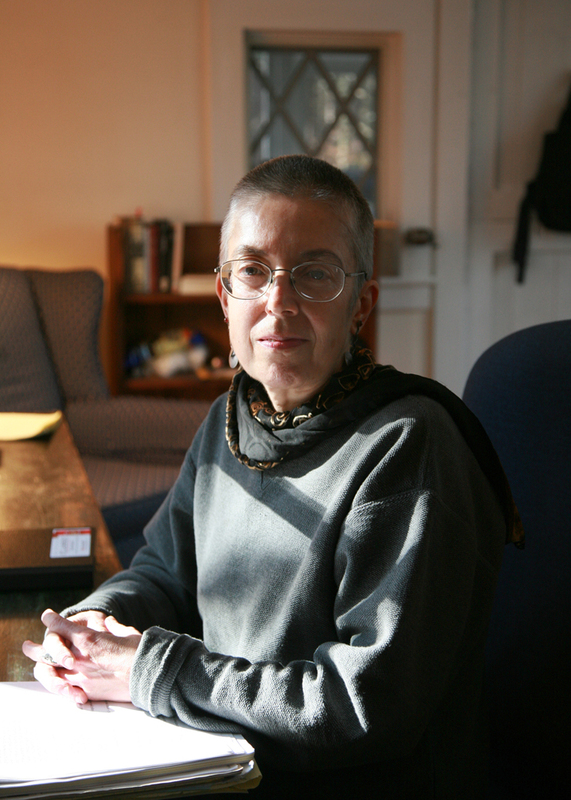 Clausen has taught creative writing at New York University and the New School, and currently teaches in the Goddard College MFA Writing Program. Was “Found on Double Bluff Beach” inspired by a real life event? This poem owes everything to my time spent close to the intertidal zones of the Pacific Northwest coast, first of all during my residence in Oregon, Washington, and California—all in my first two decades of life (prior to my move to New York City)–and more recently during a stint at Hedgebrook, the wonderful retreat for women writers on Whidbey Island, Washington. The images in the poem come directly from my beach walks on Whidbey Island. Do you find that your poetry is influenced by the form of the text, or is the word placement influenced by the poem? If we’re speaking about visual arrangement of the words and lines, it’s all part of my incremental, experimental composition process. I try something, see how it looks, and from that I might get the idea to try something else. The visual impact is probably more an outcome of the rhythms of words and lines as I hear them than the reverse, but it’s not a one-way street. I should say that I often do write in more traditionally lineated stanzas. For “Found on Double Bluff Beach,” the experience of looking intently at tidal scattering along the shoreline made experimentation with visual form seem particularly attractive. Do you start and finish your poems all in one sitting? Never! In recent years, almost all my poems go through what I think of an extensive “kneading” process, sort of like bread dough where you handle it, punch it, let it rise, punch it down again–sometimes many times before it’s baked. Those “rest periods” are indispensable to a satisfactory result. A more appropriate metaphor for “Found on Double Bluff Beach” might be that of a tidal sifting, mixing, and matching. While I went through an intensive composition phase for this poem during that Whidbey Island residency, I literally continued to revise and develop the poem intermittently for about four years afterwards. Do you listen to music as you write? If so, what kind? My poetry has a close connection to music in several senses: I often reference or respond to particular pieces of music in my lyrics; I am extremely sensitive to the aural qualities of my work, including rhythmic cadences and the “ecology” of different sounds within the whole; listeners often remark that my work is “musical.” Precisely because of this sound sensitivity, I never want to hear music while I am working on a poem. I might listen to instrumental music while writing certain types of prose, but poetry–no! Do you prefer your poetry to be read silently from the page or read out loud? I wish we’d all read poetry aloud more frequently. During the Occupy Wall Street protest in 2011, I participated by going to the Manhattan encampment in Zuccotti Park every day and reading a different poet’s work aloud (while displaying a sign reading: BECAUSE THEY’RE TRYING TO DRIVE OUR PLANET OFF A CLIFF), then blogging about it. I was amazed at how this deepened my own appreciation of the poems I read. I love giving readings from my work and I’d be delighted for people to connect with it by reading it aloud to themselves or others. I do recognize, though, that much reading of poetry is necessarily silent. My hope is that, silent or voiced, the reading will be reflective, with the reader’s imagination as well as her powers of observation actively engaged. Is there anything you’d like to say about your new book? Both in the visual experimentation of its layout and in its focus on a fluid medium (tide, spill) as a way to think and feel in relation to global transformations, my new book Veiled Spill: A Sequence is quite closely related to “Found on Double Bluff Beach.” The text bridges poetry and prose, lyric and documentary, sampling and improvisation, verse that occurs in couplets or conventional-looking stanzas and impertinent word-bursts. I have been drawn by the opportunities that such formal flexibility affords to improvise alongside the characteristic perils and beauties of “our” (understood in local and global senses) passage through this time in planetary history. For more from Jan Clausen, check out her website.